The growing number and increasing complexity of medication prior authorizations is driving the need for a centralized prior authorization team. The Prior Authorization Pharmacist will execute and oversee the Prior Authorization program to ensure complete, appropriate, and timely drug therapy. Pharmacists are uniquely positioned to obtain and evaluate clinical information (medical history, diagnosis, lab results, etc.) to investigate and assist with denied claims by providing additional clinical information required by payers. The Prior Authorization Pharmacist will work to obtain prior authorizations and/or resolve denials on behalf of the patient and provider. The Prior Authorization Pharmacist is responsible for developing and maintaining a program to facilitate prior authorizations for the medical center in collaboration with the Financial Clearance Department. The Prior Authorization Pharmacist will support the appeal process to overturn insurance denials and/or benefit exclusions and ensure appropriate communication of prior authorization determinations across multiple departments. • Collaborate with Division leaders, Financial Clearance Department, clinical staff, and other appropriate individuals to review prior authorization denials. • Investigate and assist with any denied claims to resolve any issues by writing and submitting appeal letters, including rationale for appeal, applicable treatment guidelines, and published literature to support use. • Act as the liaison between the payer and provider when clinical documentation is required. • Monitor, follow-up with and record all insurance prior authorizations and re-authorizations required by payers to help ensure compliance and continuity of treatment. • Recommend therapeutic substitutions to providers based on insurance formulary alternatives or patient specific factors. • Complete financial assistance assessments to utilize copay cards and patient assistance programs for free drug for patients unable to pay for their medications. 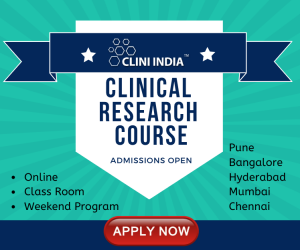 • Research drug information to maintain drug knowledge and disease state understanding for application to prior authorization reviews. • Maintain knowledge of utilizing Lexi-comp, Micromedex, UptoDate, and literature searches. • Collaborate with Informatics and others to maintain and improve the appropriate documentation of prior authorization information in the Electronic Medical Record. • Continuously work to streamline and improve the quality of the Prior Authorization process. • Develop and conduct training on impact of prior authorizations for pharmacy staff and others. • Create education materials for staff and families. 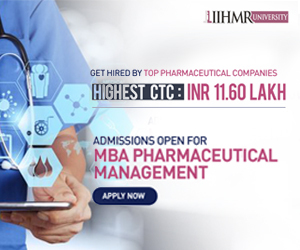 • Meet departmental and institutional goals and objectives by leading and participating in various local and national committees and programs related to pharmacy benefits management. • Function to provide clinical and professional pharmacy services. • Perform other related duties as assigned in order to meet the goals and objectives of the department and institution. • Maintain regular and predictable attendance. • Active Illinois Pharmacist License. • Minimum 5 years of experience as a practicing pharmacist required. • Minimum 1 year of experience with specialty medications or direct prior authorization experience required. • Pharmacy Benefits Management experience preferred. • Experience in commercial and/or Medicaid prescription drug plans, programs or formularies preferred. • Continually evaluates responsibilities and processes with recommendations for improvement. Advances knowledge base through self-directed learning to maintain competency. • Demonstrates teamwork by assisting and encouraging the team to participate in identification of problems, formulation of plans, and initiation of corrective measures and follows-up to make certain suitable action is taken. • Is able to mentor team at any level. • Promotes positive work environment as evidenced by quality service provided and positive team attitudes. • Excellent communication skills. Demonstrates critical thinking skills and interpersonal skills. • Demonstrated ability to work independently with minimal supervision.